A raw food diet consisting primarily of meat is best. Yet, look at the ingredients in most commercial dog food. Lots of cheap filler grains. And very questionable protein sources. Dogs evolved eating raw meat. They were not meant to live on a high carbohydrate diet. Kibble is not natural pet food. You can also find grain free dog food. Taking dogs away from the diet that nature intended results in bad breath, bowel trouble, gas, hot spots and a host of other common dog health problems. Try feeding your dog raw food. You will be amazed at the difference a raw dog food can make. Your dog will look and feel better. And you will spend a lot less of your hard earned cash at the vet's office. 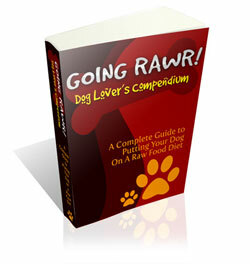 Find a raw dog food recipe. Making raw dog food is not hard. And in preparing a home made dog food recipe, you can ensure that your dog is eating healthy. 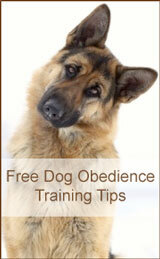 A raw dog diet can cause many nagging health issues to disappear. And it will help prevent dog health problems in the future. You will notice a shinier coat and a sparkle in your dog's eye. Your vet may even call to find out where you've been.